Our objective is to provide the best products and services at the lowest competitive costs with the most financially sound companies. We understand the diversified needs of our clients and pride ourselves on staying ahead of the requirements and challenges that exist in today’s business environment. Robert Eberle and Robert Bergman have over 30 years experience in working with Corporate HR and Union Funds. Our experience and knowledge of Health & Welfare Funds allows us to work with Providers and the Funds for the benefit of your Members. Free consultation and review of your current coverage is always available. R&B has been involved in the sales and consulting business since 1994. Founded by Robert Eberle and Robert Bergman to provide a firm that understands the needs and requirements of Corporate and Union clients. We have enlightened insurance companies and helped develop specialized products and services for our clientele. We are a Broker and Consultant to the Delaware Valley Health Care Coalition (the nation’s largest labor coalition) and work with the New York Labor Alliance and the Connecticut Coalition. As a Re-Insurance Intermediary we evaluate Insured versus Self Insured Health Plans. We provide employee/member benefits and full service P&C coverage. Our marketplace is currently in 15 states and is constantly expanding as needed. You will always be interacting with one of our principals to service your company or Union. We comply with all required continuing education requirements and make certain we stay on top of legislative changes and how they affect your Plans. Service, experience and knowledge can best be demonstrated by our loyal clients. We understand eligibility, contribution levels and contract design that can be unique to each Fund. Our responsibility is to you and your employees/members. 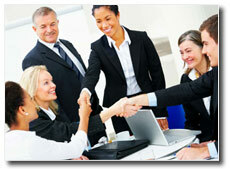 In our ever-changing business world, R&B will work to ease any burden of providing benefits and insurance coverage. Our firm offers products and services to meet your required benefit objectives as well as optional coverage to further protect your valued employees/members. We are also expertly prepared to cover all of your Property & Casualty, Union Liability and Fiduciary Insurance needs. We are constantly researching the marketplace for the best protection with the most competitive pricing. Let us help you by providing an audit of your existing coverage and making certain the coverage and cost meet your needs. Because of the ever changing business environment and recent dramatic Health Care Reform; it is essential to review your coverage. Compliance to mandated rules and extended levels of protection effect all insured. By being pro-active you can make certain your Plans comply and provide the required and desired benefits. We work exclusively for our clients well being and look forward to the opportunity of working with your group, company or Health & Welfare Fund. R&B Consulting, LLC. All Rights Reserved. Site designed by Miles Apart Media, a division of Miles Technologies.